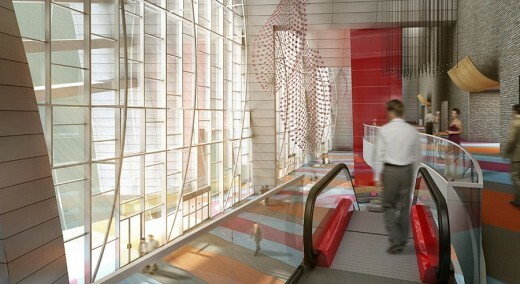 RM Plus, LLC Planning & Design won the international design competition for this new convention center. 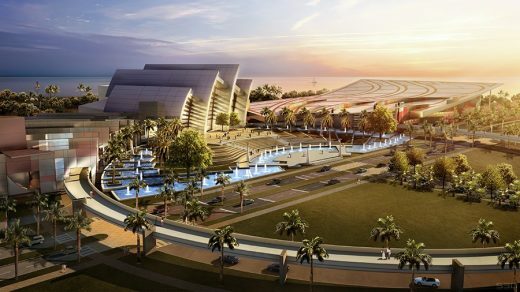 Currently under construction, the Panama Center for Events and Performing Arts is poised to attract conventions from around the world. 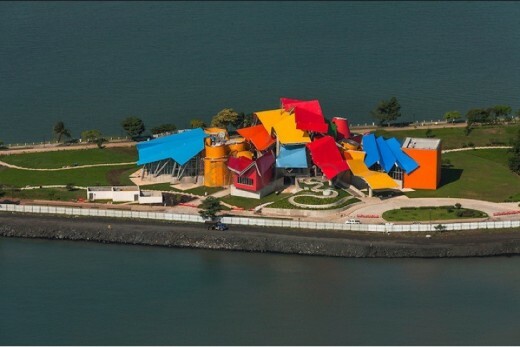 Located on a 32-acre site on the Amador Causeway, near the newly opened Frank Gehry designed BioMuseo, this land was created from material excavated during the construction of the Panama Canal. With new hotels, restaurants, museums, and this convention center, the Amador Causeway is poised to grow into a world-renowned tourist destination. 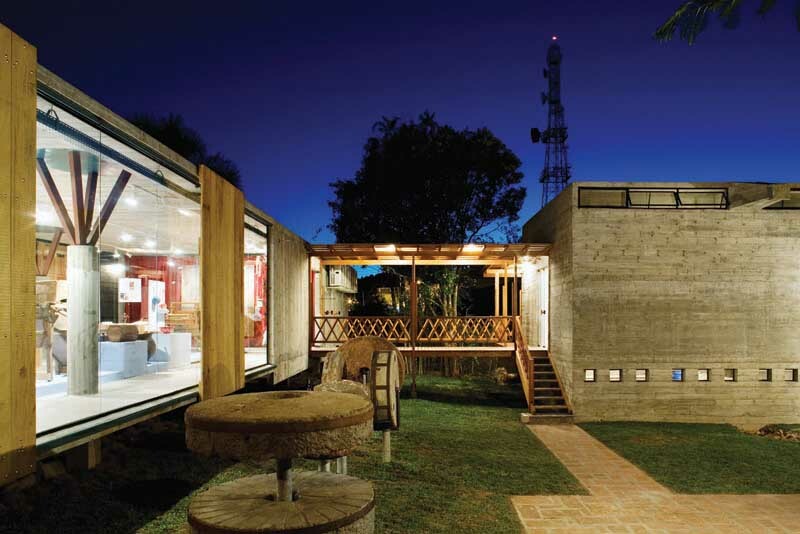 The design fuses technology and design at the convergence of North and South America. This complex will be the crossroads between the history and future of Panama. Located on the Amador Causeway, at the mouth of the Panama Canal, the site offers spectacular views of the Pacific Ocean and the city of Panama’s skyline. 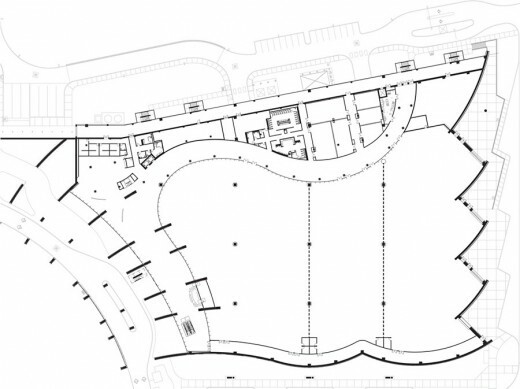 The campus style layout includes a Banquet Hall and Restaurant, Performing Arts Theater, Exhibition Hall, and outdoor amphitheater. The genesis of the design is the national symbol of Panama, the Harpy Eagle, which signifies strength, intellectualism, and power. 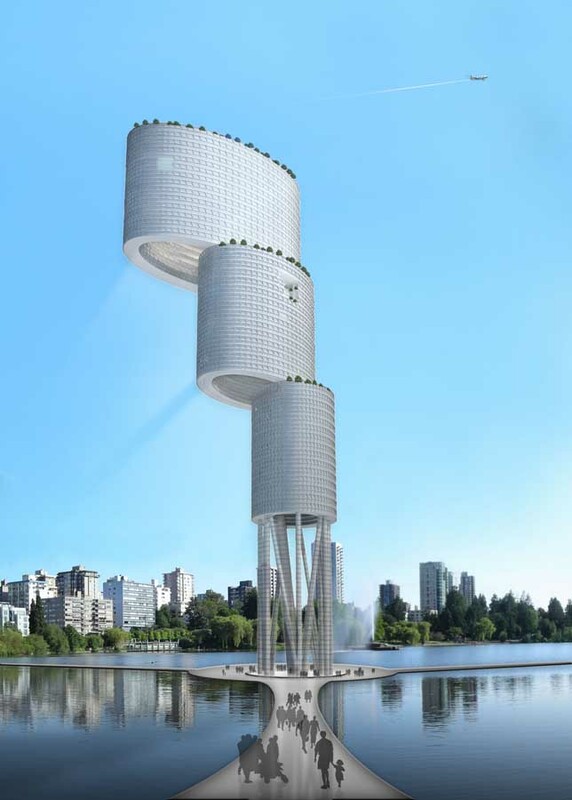 The iconic architectural forms create a sense of movement, inspired by the flight of the eagle. The interiors blend contemporary aesthetics with cultural patterns and colors inspired by the Mola artwork of Panama. The spirit of the eagle influences the monumental interior spaces, evoking the environment of the middle canopy, the Harpy Eagles natural habitat. Visiting the country gave us many insights to the importance of the identity of the country. 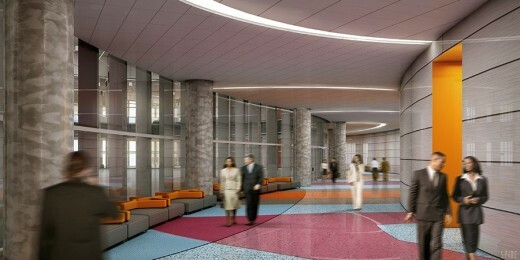 Our visits and research greatly inspired our design decisions on the project. Our challenge on this project was to take traditional elements of Panamas history and culture, and re-interpret them in a contemporary way. 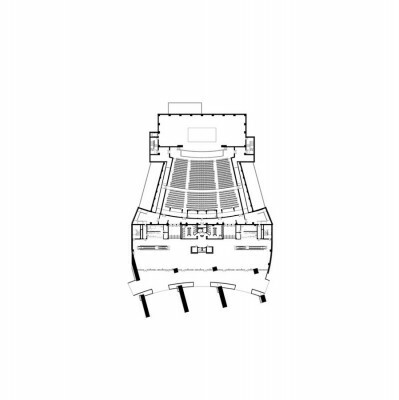 The design needed to reflect the history of the country and the people of Panama, and express the future. 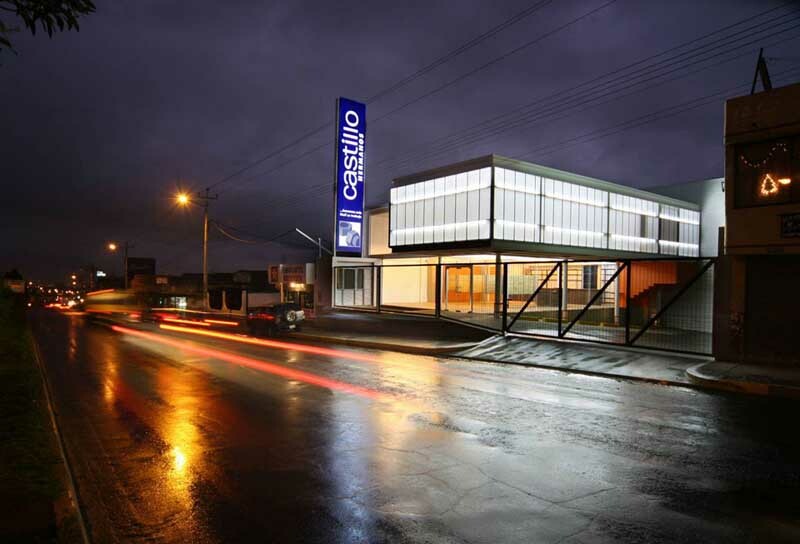 Developing this building to represent a new identity for Panama was our goal for this project. At the Banquet Hall, guests are transported into the middle and upper canopies of the rainforest, where the harpy eagle lives. 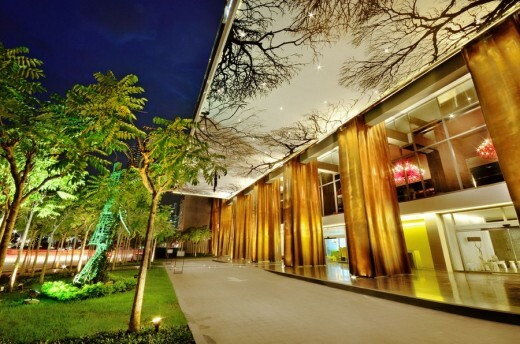 The restaurant looks over the Great Hall, like the eagle perched high in the kapok tree. 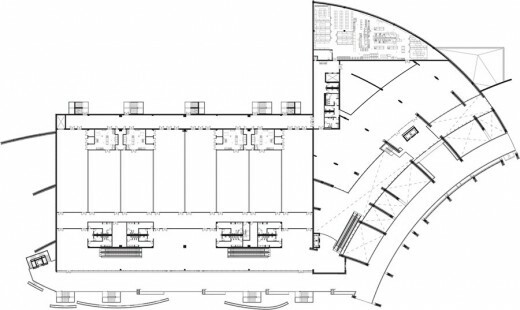 The Banquet Hall is 240,00 SF (22,000 SM), with 30,000 SF (2,800 SM) of banquet hall space and 14,000 SF (1,300 SM) of pre-function space. 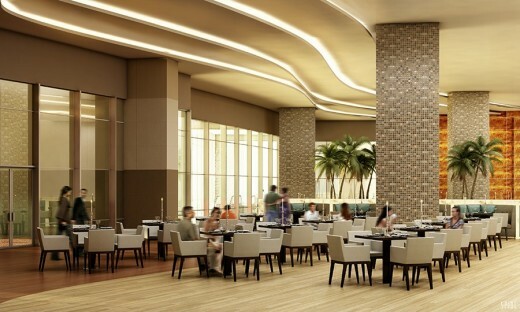 The Restaurant and bar can seat 300 guests. 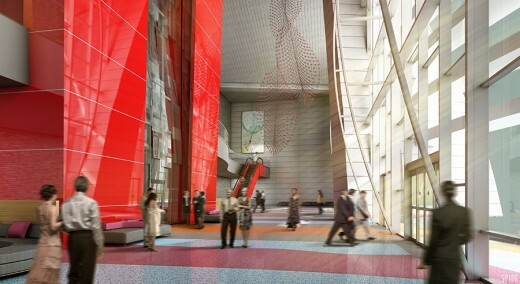 350 parking spaces are located on the lower levels of the building. 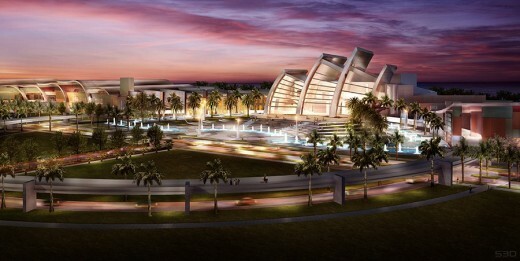 At the heart of the project, the theater and grand plaza create gathering spaces for cultural events. The glass facade and open lobby space blur the line between exterior and interior. The Performing Arts Theater is 130,000SF (12,000 SM) with 2,000 seats for a variety of live performances, from concerts to Broadway productions. The Exhibition Hall exemplifies the importance of technology and innovation through the types of spaces offered and sleek, modern materials. 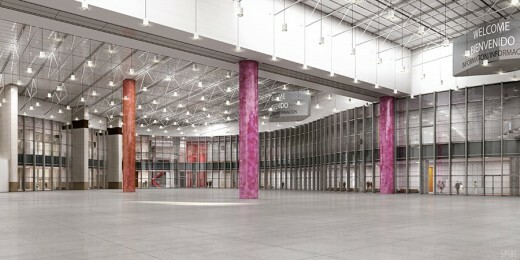 The Exhibition Hall is a 210,000SF (19,500 SM) facility, which has 85,000 SF (8,000 SM) of open exhibition space. 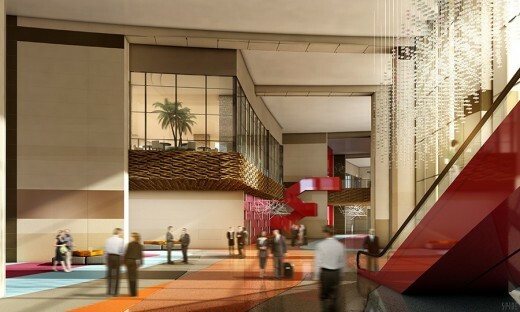 16,000 SF (1,500 SM) of meeting rooms are also available for conference events. 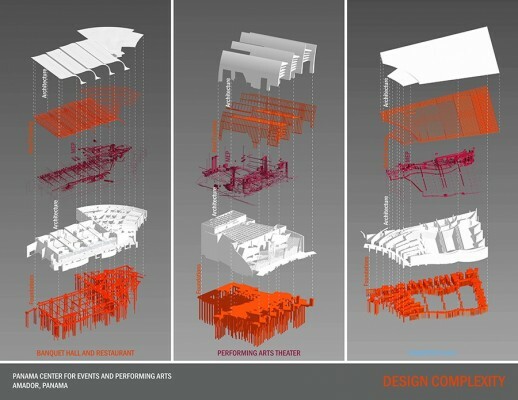 We developed the complex forms of the design using 3-D software. We used Sketch Up to create initial design models. 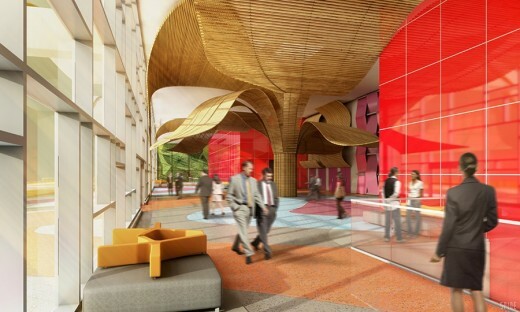 As the project progressed, our team, working in a joint office space with both architecture and engineering disciplines, leveraged the powerful capabilities of Revit to understand the complexities of the architectural forms and spatial relationships. We utilized Navisworks to resolve design conflicts and advance the documentation quickly and efficiently. 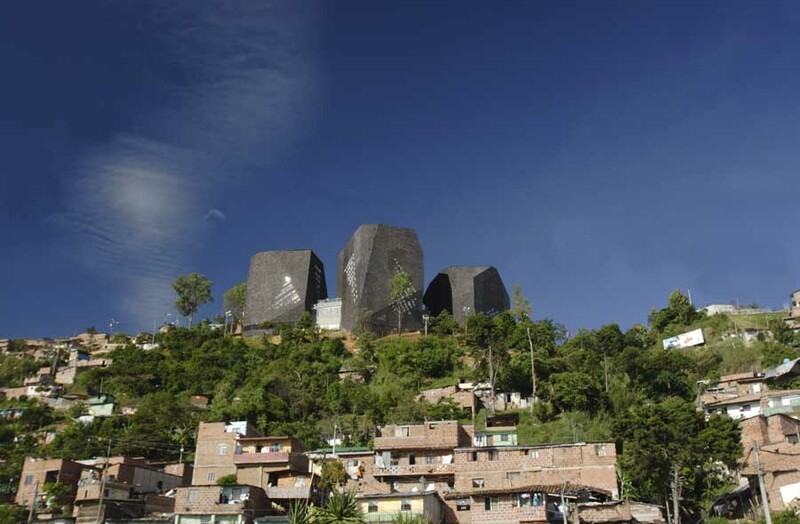 – top 25 entry into the international World Architecture News Performing Space Design Awards. 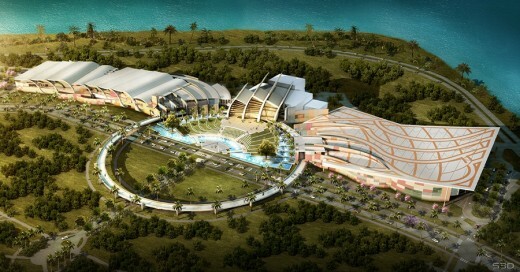 In December 2012, the Tourism Authority of Panama – ATP – gave the order to proceed with design and construction for the new Amador Convention Center Project to HPC Contratas P&V.